Hahaha I think she's in India, painting the town red with her dear friend Susmithy. really we will be on it, checking India soon. I believe she's on a movie set and is destined to be a major star on the silver screen. Can I have an autograph, please? And a cookie? We have been given that tip as well, she left us a few of her John Hancocks and some vegan cookies especially for you. We think we are hot on her trail, Cara. we are pulling out all the stops. I cannot tell you who you are yelling at, I am in incognito tonight. She is missed....and I hope she is found. 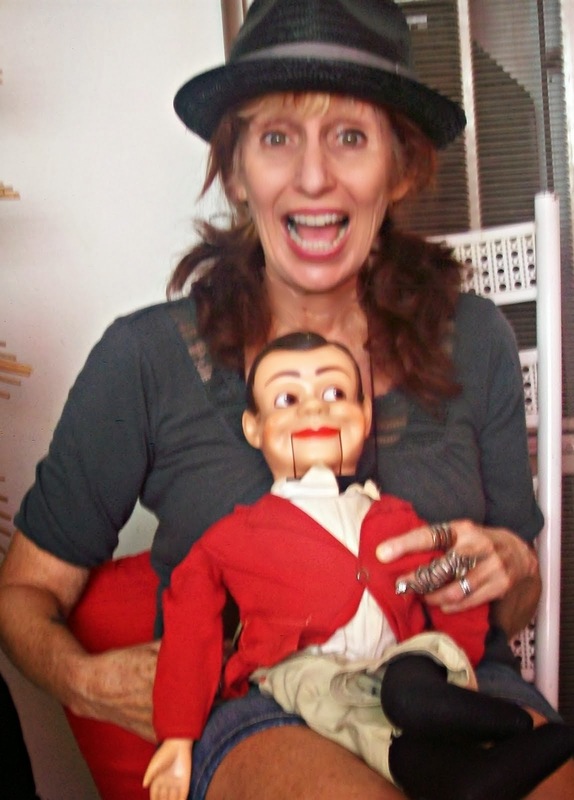 I had been lost from blogging as well. But, I was found. :-) I hope you are found. I'll file a missing persons report. if not, then someone drop some hints please, so we can all find her super soon! Richa, I have heard that GiGi has not been able to leave the country in some time. Oh my gosh, so awesome! You have been missed! Wearing all leopard print? My Italian language professor in college was from Naples (Italy), and she wore skin tight leopard print mini skirts every day (even in her 70's! ), so I'd be sure to look there! Amey, I am sure GiGi would be so glad to hear that somebody misses her. GiGi is a little younger than your Italian teacher but for sure would like her style. if i find her do i win a prize? I think they are coming up with a reward, Kendy. Gigi is really being missed. Please help find her. 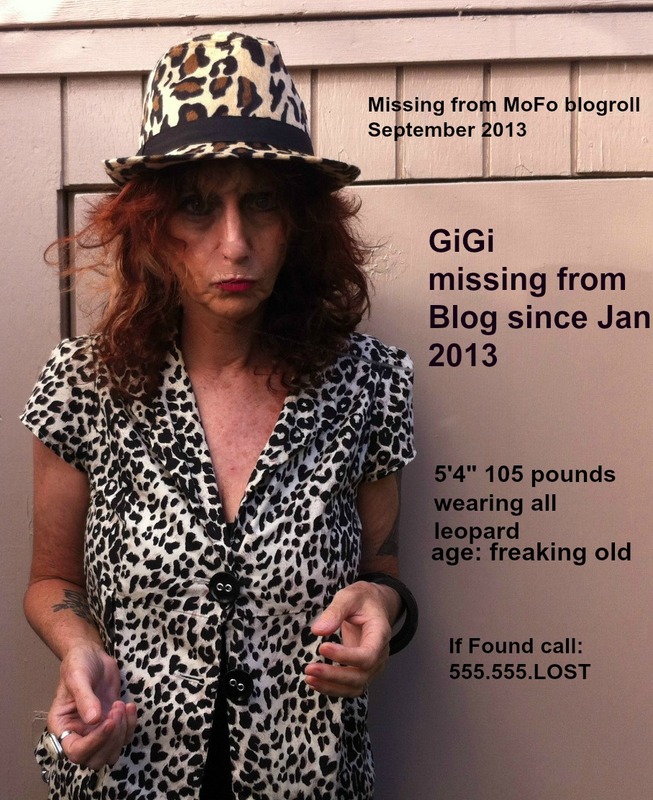 We are hoping she will be found and share some of her delicious treats during Vegan Mofo and some more of her wardrobe - meow cat lady. haha, I am sure GiGi would be pleased to hear that, Shaheen. Meow. If I were you, I'd check under the couch. That's where most of the things I've lost are found. In most "cases" that might work, Cadry, in this particular case, GiGi does not own a couch. 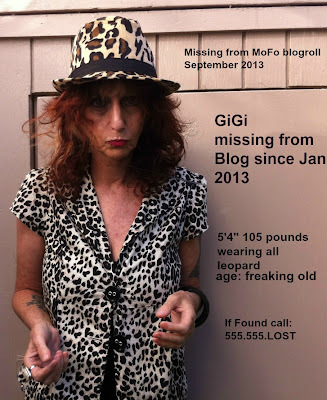 gigi has been hiding out on my blog all month. i bet you can find her there right now! Have you reported at the 555 number, Kittee? But you've been found. It was worth a shout.